Managed Controls can design a network that is suitable to your business and scale-able for future growth. We back those network installations with a superior tool set that constantly evaluates the health of your network. No matter if you have a single location or hundreds of locations we have the experience and tools to provide you with a solution that keeps your business operating. There may be many facets to your network if you have multiple locations, remote workers or critical elements that simply can not go down. To this we say “no problem”. If you current network isn’t performing the way you think it should - then give us a call and we will provide a complimentary site evaluation. Wireless can be simple or can be tricky. We can provide an on-site wireless survey and design a wireless solution for your organization that can maximizes speed and reliability. 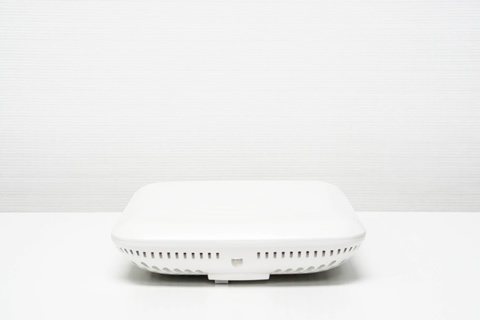 Our partnerships with leading wireless access point manufacturers like CISCO, Meraki, Netgear, Aruba, OpenMesh and Ubiquiti position is to offer the right solution that meets your needs and budget. Our team can design a Local Area Network (LAN) or Wide Area Network (WAN) that meets your organization’s needs and is optimized for speed and reliability. If just hearing the words LAN and WAN gives you a headache, no problem we will do the heavy lifting. But you can rest assured knowing you will receive documentation of all of our design and deployments. Sometimes the Internet to your facility goes down. Hopefully this isn’t a regular occurrence. Today most businesses can’t afford downtime and your customer’s expect their transactions to go thru no matter what. That’s why some businesses need a Dual WAN solution. By adding two Internet connections to the same router / firewall that do not share the same “last mile” connection you gain reliability that your business maintains network connectivity when it counts. We can help you through this process and find the most affordable option available.